Virgin Mobile said today it would begin offering Canadians mobile internet access without an annual contract or activation fee. Called Broadband2Go, the service lets users plug a USB internet stick into their laptop and connect to the Internet from almost anywhere in the country. To use the service, users will first need to by a Novaltel MC760 internet stick from Virgin for $150 and then pay for data transfers as needed. 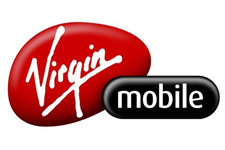 Unlike in the U.S., where Virgin offers a number of different data transfer options, Virgin Mobile Canada will only offer one. The prepaid cost will be $45 for 1GB of data transfer or for one month of use, whichever comes first. This means that after one month, your top up expires whether you use the 1GB of data transfer or not. Virgin says Broadband2Go works on any computer with the Windows XP or Windows Vista operating system installed, Macs are not supported. To keep track of the data being used, the first time the stick is used; Mobile Connect software is automatically installed. Every time the subscriber connects to the Internet, the Mobile connect software keep tracks of the data used during that session. A monthly summary is also available. Users also receive a txt message when they come close to 1GB of data usage. Discuss on Digital Home’s Canadian Mobile Phone Forum. none of these mobile internet solutions will really catch on until the rates become more on the same scale as their regular broadband. What a rip-off… 45 bucks for 1 Gb. I wonder when are we going to get more or less competitive mobile internet rates. Still a rip off! And this BS about losing your money or in this case data rate after the month is over should be illegal!!! You paid for it, it should be yours until you use it up. You don’t like it, so it should be illegal? Brilliant. How about if you don’t like it, you don’t use it? $45 for a gig of data transfer! Daylight robbery. I would say, one day sanity will prevail and people will say blunt no to these money grabbing schemes. It is worse than the fourth world countries. What else we can expect. Canada is becoming more and more monopolistic country each day. All the corporate bigwigs are scratching each others backs.